Are you single? Are you dating? Are you considering a possible marriage partner? Are you engaged or already marred? This book is for girls and women of all ages who want to live a life of abundance and happiness. 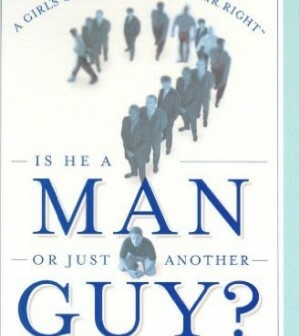 Included is a 100 – question test, designed to help you determine the difference between guys and men. A man is a not a man because of his age or his physical characteristics. He is a man when he has honor, when he has ambitions, and when he treats you, and others, with respect. SO. IS HE A MAN? OR JUST ANOTHER GUY? The choice is yours. Don’t settle for less. Choose abundant life and happiness.